November 15th, the Utility Industry assembled at Westminster for the Street Works UK Awards 2017 (formerly NJUG). The awards celebrate innovation and diligence across the gas, water & electricity sectors. 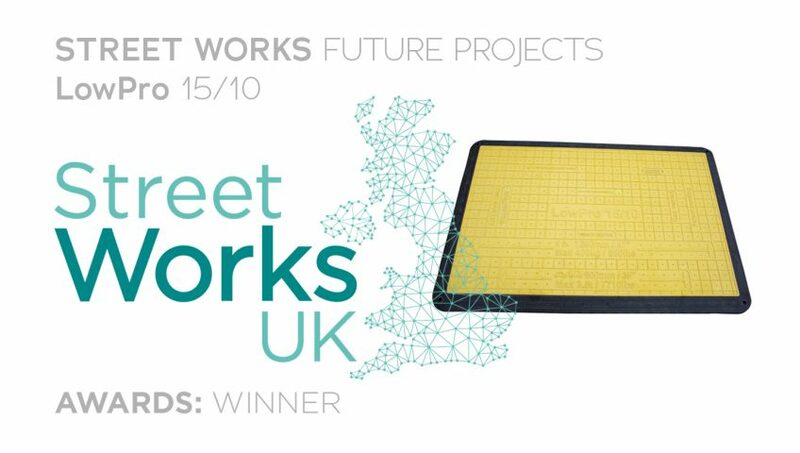 And we are thrilled to have won the Street Works Future Award for the LowPro 15/10: replacement for steel plates in driveways. Handling methods of steel plates require either HIAB lifting equipment or in some cases mini diggers. Neither was deemed acceptable in the residential environment, with steel plates also being over-engineered for this application. And so, collaborating with tRIIO & the Oxford Plastics Research & Development Team, we set to work designing a safe and simple solution that would enable residents to access to their homes during Utility work excavations. The rapid adoption of this innovative solution across the Utilities and construction industry is testimony to its creation. The LowPro 15/10 solves an industry problem that has been around for years, and ties in directly with Street Works UK’s key goals: safety, high quality, minimise disruption & innovation.